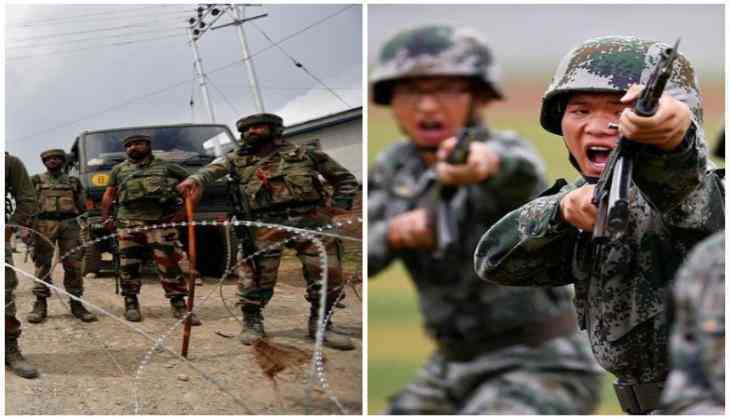 Chinese experts have warned that India runs the risk of compelling Beijing to opt for a 'military way' to end the boundary standoff in the Sikkim sector if New Delhi refuses to listen. Criticising the continued standoff in the Doklam area for the third week, China reiterated that the crossing of Indian troops into Chinese territory along the border in Sikkim violated its promise to China. Chinese experts also scoffed at India's military prowess after India's Defense Minister Arun Jaitley asserted that the India of 2017 is far different from what it was in 1962. "The gap between the militaries of China and India today is even bigger than in 1962, and I hope India can keep calm for its own good," Hu said. Cautioning India over escalating the border tension and reminding the Indian Army about the 1962 war,Hu Zhiyong, a research fellow at the Shanghai Academy of Social Sciences said , "China is trying its best to use historical lessons to reason with India and show sincerity in peacefully solving the problem, but if India refuses to listen, then China would have no other choice than to use a military way of solving the problem." Hu even connected the standoff at the Doklam area with the Modi's visit to the Washington and said India is provoking China because it wants to prove to the US it could contain China while Prime Minister Narendra Modi was in the US, the Global Times reported. Comparing Donald Trump and his predecessor Barack Obama, Hu said Trump is very pragmatic, and he doesn't treat India as a valuable ally because New Delhi is too weak to confront Beijing. Chinese foreign ministry spokesperson Geng Shuang said that China considers this trespass more serious because it occurred in the mutually recognized boundary line at the Sikkim section, which is different from the conflicts and border issues in other disputed areas between China and India. "The Indian government has confirmed its stance on the China-Sikkim border many times in the past through documents. But Indian forces have trespassed the non-disputed border, so India has violated the principles of the UN Charter and international law, which is extremely serious," Geng stressed. Shuang said at regular press conference that India's first prime minister, Jawaharlal Nehru, told then-Chinese premier Zhou Enlai in a letter on March 22, 1959 that India's protectorate state Sikkim's border with China is confirmed by a treaty signed between China and Britain in 1890, and that the border was demarcated in 1895. The treaty that Geng mentioned is the Convention between Great Britain and China Respecting Tibet, a 19th century treaty between Great Britain and the Qing dynasty related to Tibet and the north Indian kingdom of Sikkim. "On September 26, 1959, Nehru confirmed with Zhou that there was no dispute on the China-Sikkim border," Geng added. India always treats China as its biggest rival but Beijing knows that New Delhi lags far behind China, said Song Zhongping, a Beijing-based military expert.